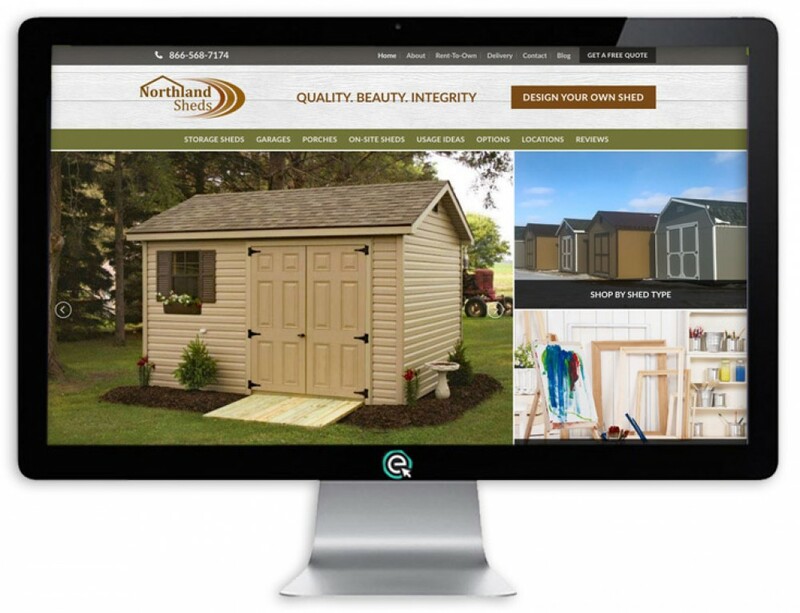 Maybe you’re asking, what does it take to launch a new marketing plan for a shed company? There are many pieces to the puzzle, but we begin by trying to understand what type of clientele our clients are marketing too. We might think that a shed is just a shed. 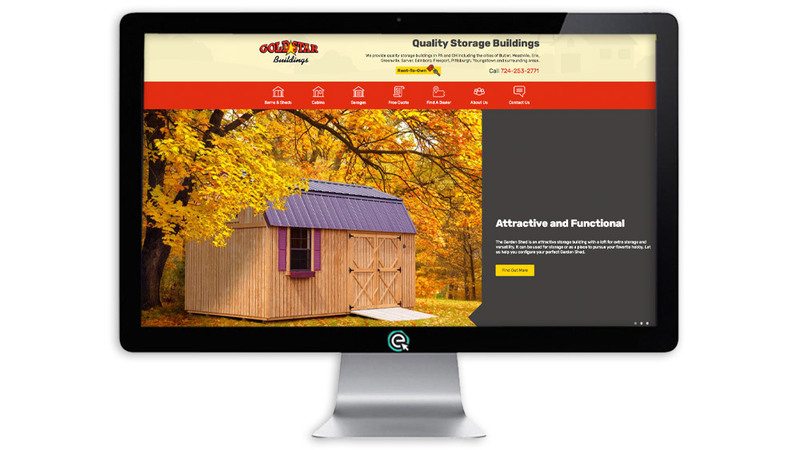 But there are many ways to market a shed and it begins by understanding the customers of a particular shed company. 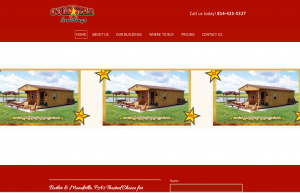 Gold Star Buildings came to us with a basic website that was being hosted by Hibu. Since we were booked out several months, we took the initial website and moved it to our server so they would not need to sign up for another year-long contract with Hibu. 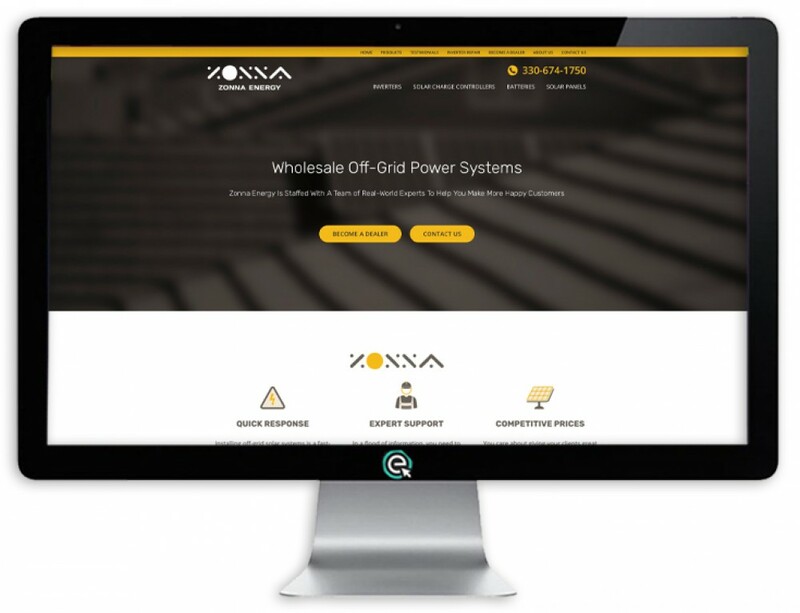 Even after moving the original site, it was still a few months until we had the website built and ready to launch. Here is a snippet of what the shed website looked like before the rebuild. From the start, we realized the need for new photos of Gold Star Buildings sheds to help create a beautiful design. 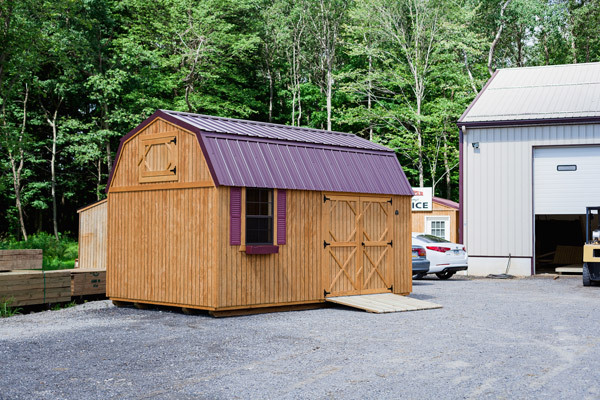 With our years of experience in marketing storage sheds, we’ve come to realize that beautiful photos sell buildings. 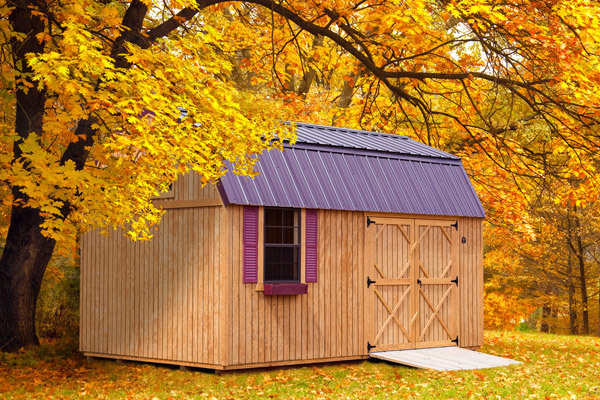 People often call in and say “I want that shed,” or “I want that garage.” Good photos sell sheds. So, Kenneth, one of our grow the facilitators, along with his wife stopped at Gold Star Buildings for a photo shoot. But even good quality photos need some touching up. We took the high-quality photos that were shot and went a few steps further to create scenes that show the beauty of the buildings. Note a few of the before and after photos below. Next, we began development of the site and content. 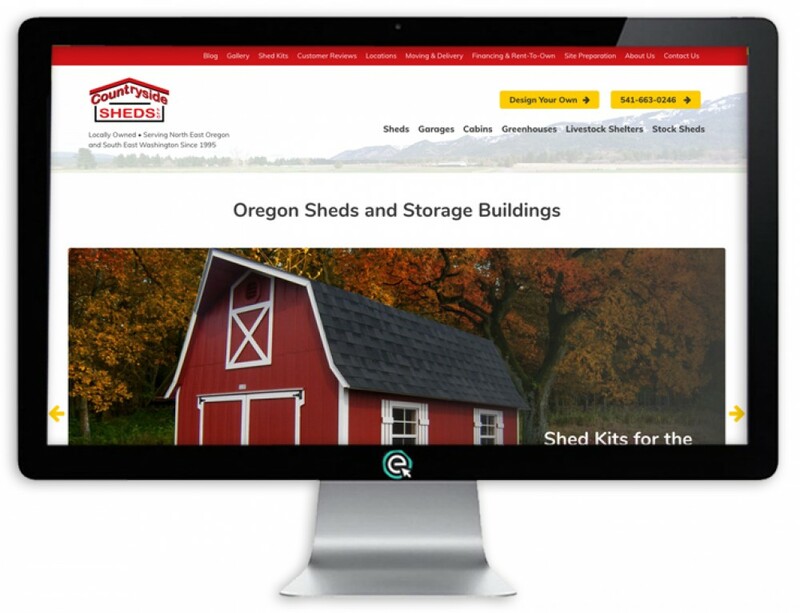 We use tools to find out what search terms people use when they are looking for storage sheds. When we’ve found those and determined which ones will work best for the new website, then we write content and do a whole host of other things to get the pages to rank well in the search engines (We won’t give away all of our secrets here!). Some of you know how difficult it is to keep up with the leads that come into your company. There are many things to do in a day and when the end comes and you have a stack of leads on sticky notes that eventually get thrown out. There must be a better way to keep track of leads. We set up a Lead Management Application that will capture every lead that fills out a form on the website. Then those folks will get automated emails to keep marketing Gold Star Buildings even when the owners are taking a nap because they’ve been too busy! An important part of marketing online is the website for sure. But there are many other pieces to the puzzle as well. For Gold Star Buildings, we helped them get connected to Social Media, made sure they are listed for local search results and will continue to do more in the coming year. 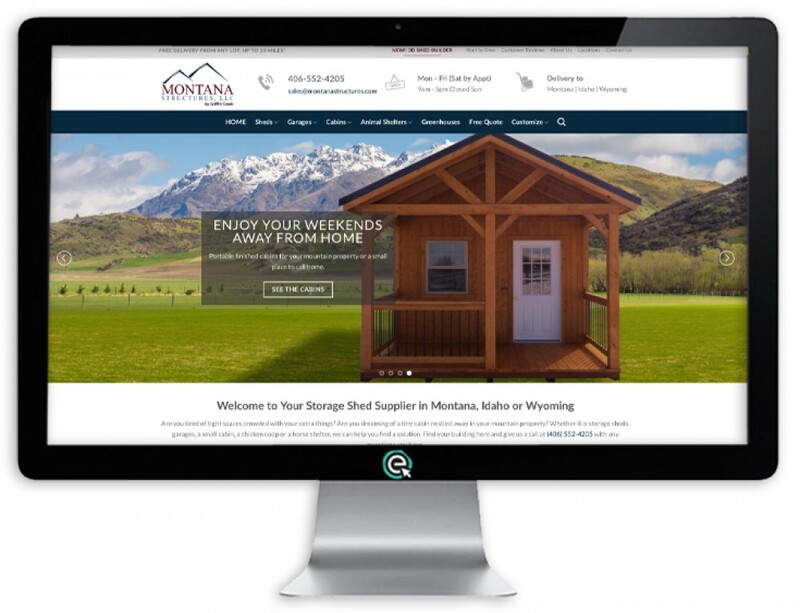 Most of our shed marketing clients are on the Success Plan where they continue to grow and improve their online marketing presence. We’ve discovered that marketing plans work better than a simple website. Competition in the shed industry is growing stronger and stronger. 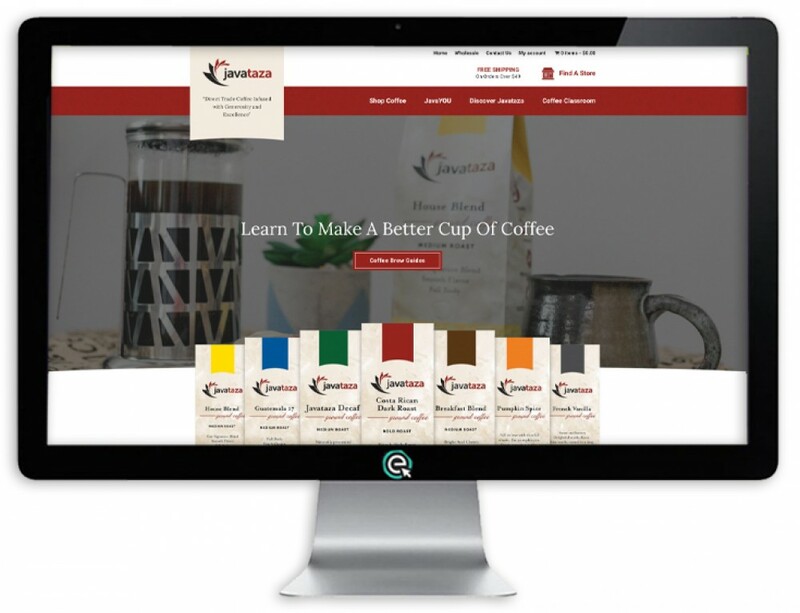 In order to continue growing a business, there must be an ongoing investment into the website. We’d love to talk about helping you grow your business. Call us today at (717) 216-0022.